Betsy always knew that life would find her eventually, and until then, she would be happy watching the young men who lived in her mother’s boarding house court their sweethearts on the front porch. Everything seemed perfect until the War came too close to home, and what was once an elegant and privileged boarding school became a bloody hospital. Left the suffer the aftermath, Betsy decides that her only hope is to get out of her hometown and go as far away as she could get. In order to do that, however, she would have to find a husband. Not having the patience for one of the conventional correspondence relationships, Betsy chooses the bride train. This train would bring the eligible women through several towns to meet with men looking for wives. 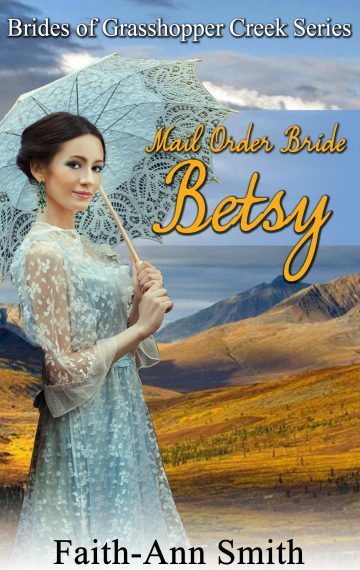 The last stop is Bannack, Montana, and that is where Betsy decides she will remain. A problem arises, however, when she steps off of the train and none of the men in the town choose her. Alone and hopeless again, Betsy embarks on life on her own, but soon finds that strength–and love–often come when you aren’t looking for them.